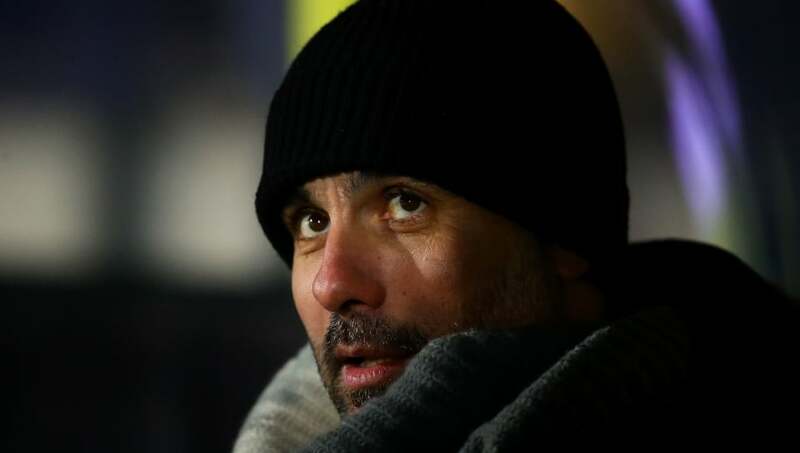 Ernesto Valverde has criticised Pep Guardiola after the Manchester City boss attempted to make a 'personal' approach to Frenkie de Jong before he chose to join Barcelona. The Dutchman officially joined the Catalan giants from Ajax on Wednesday in a deal worth up to €86m - making him the most expensive Dutch player of all time - and he is set to join up with his new club in the summer ahead of the start of the new La Liga season. ​Barcelona had been coveting the midfielder for some time and had to fight off some very stiff competition in order to win his signature - with the likes of both Paris Saint-Germain and ​Manchester City also wanting to sign the youngster - but they were able to fend off their competition and were rewarded with de Jong's services. Speaking with ​Marca after the deal was announced, Valverde discussed his visions for the player whilst also criticising City manager Guardiola after it was reported the Spaniard made a personal approach to de Jong in an attempt to lure him to the Etihad Stadium. He said: "Talking to a player who is under contract with another team is something that can't be done. "You can't talk to a player who is under contract and that's something that isn't in my personal code but suffice to say, everyone has their own way of acting. "Everything depends on the performance that de Jong gives in the future and he'll need to adapt despite coming in from a club with a similar philosophy to us at Barcelona. He's young and the club has to look at that but we are incorporating players who are enriching the game and can be important for us."